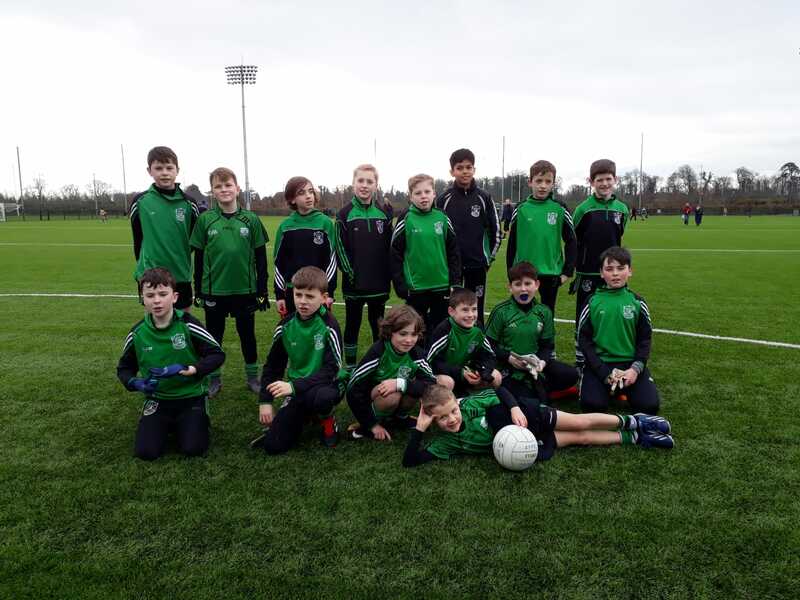 We were delighted to receive the news that we had been allocated the maximum grant possible following the announcement of the Sports Capital Grants by Minister Shane Ross and Minister Brendan Griffin. We particularly want to thank Shane Moynihan (our former secretary) and Mike Wisdom, who prepared a comprehensive application to enable us to secure this vital funding to enhance our playing/training areas. Our 3rd Annual Dinner Dance is on the 9th February , this very popular event is a ticket affair and tickets are limited so don’t miss out contact Kathleen Roche 087 9639439, Mary Flannery 087 7469143 or Josephine Donohue 087 9447262 asap to secure a place. Tickets €30; includes wine reception and a 4 course dinner, Dancing after with Music provided by FULL MOON. Membership is OPEN now for 2019 and can be paid over 6 month installments through the link. IMPORTANT notice for male players, the County Board have informed us that insurance cover for training and matches is strictly limited to fully paid up club members. "The GAA membership year runs from January 1st – December 31st. It is compulsory that playing members and mentors are registered before resuming training or participating in games. If an injury claim is notified to Willis Towers Watson and the claimant is not in the membership system at the date of his claim or is registered after the injury date, the claim will be declined. Claims for unregistered members will be declined as the GAA Injury Benefit Fund is in place to benefit registered members only." Therefore all players who have returned to training need to ensure the register now. In addition, all club managers are requested to return current squad lists to games secretary to enable us to cross-check. Please indicate where there are new players who have joined squads this year. Hard luck to CJ Smith and Darren Gavin who were part of the Dublin squad that unfortunately lost the O’Byrne Cup final. Well done to some of our stars who lined out in the Fitzgibbon this weekend, Chris Crummy and Ciaran Dowling who won with DCU, Paul Crummy with UCD who drew, & Seanie McClelland TUDublin (formally DIT) who lost. Darren Gavin also lined out for UCD in what was a busy week for him in Sigerson Cup action, they started their campaign with a win. Lotto There was no winner of the lotto on the 17th January; Numbers were 4, 19, 21 and 26. Next weeks’ jackpot €9,800, draw will be managed Josephine Donohue by and is sponsored by Lucan Village Pharmacy. Lucky Dips Winners: Sarah Downes, Joe+John, John O’Mahony, Ann Jones, Paul Heneghan (€50). Play Online here, Or Tickets can be purchased at the Club, or in Kenny’s Vesey Arms. Many of the Juvenile football teams are now back in training and looking forward to the year ahead. We wish all of the various teams and their respective management teams the very best of luck in the year ahead. 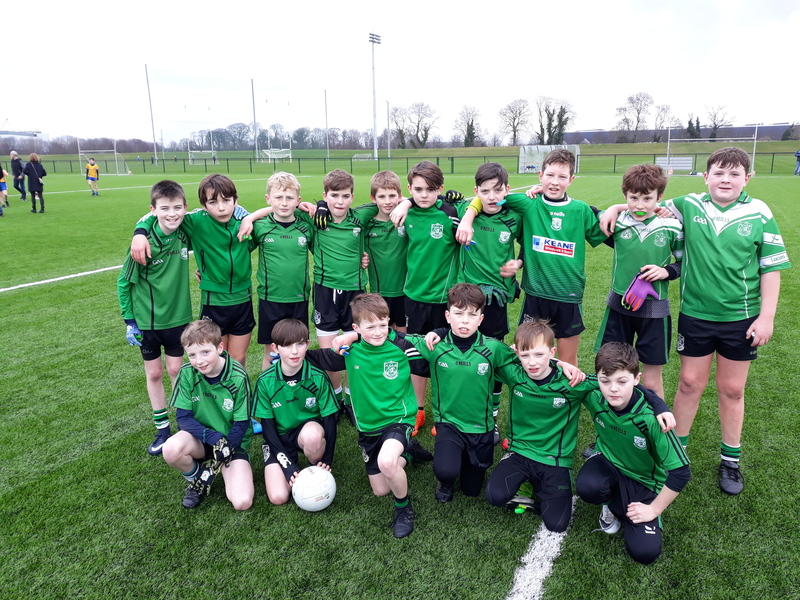 The U-12 football team had their first action of the year this Saturday in a challenge game v Na Fianna. The games were good and competitive and both teams learned a lot from the challenge. This team is now looking forward to the grading games which begin in a few weeks time.